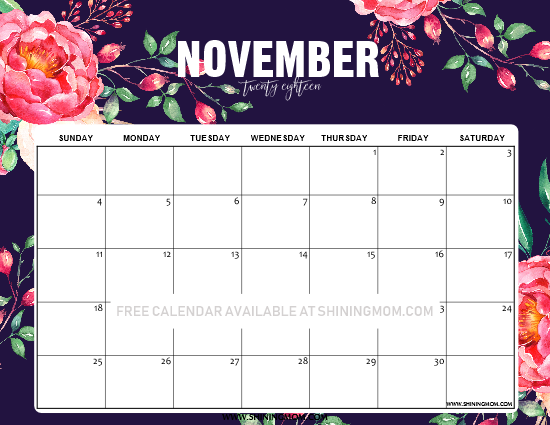 12 FREE Printable November 2018 Calendar and Planners! 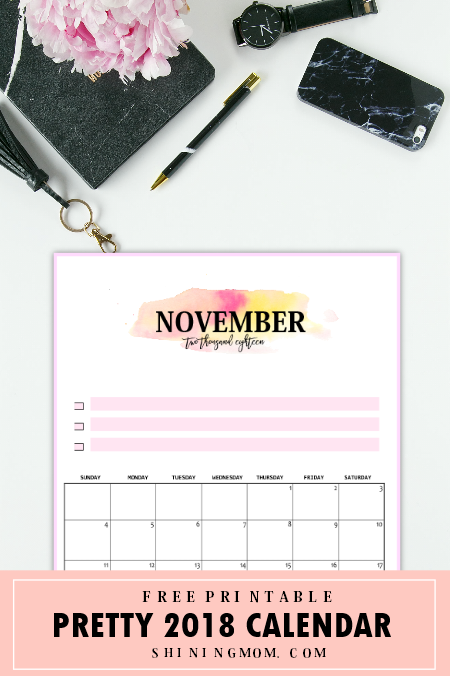 Free Printable November 2018 Calendar: 12 Awesome Designs! 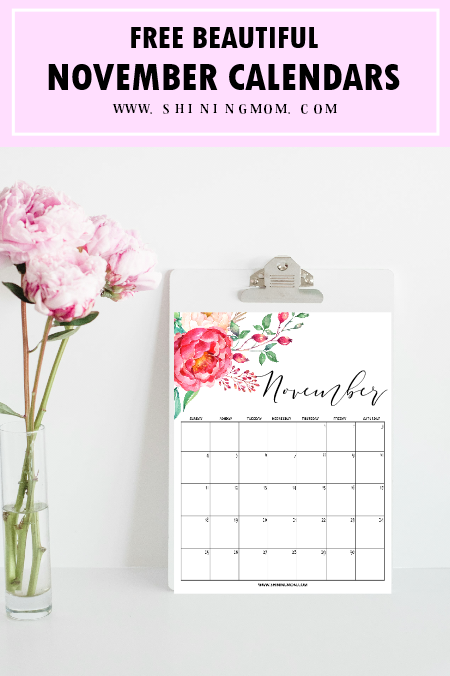 Looking for a free printable November 2018 calendar for your monthly planning? Good news! You have 12 beautiful calendar designs to choose from today, and they’re all for free download! Set your November goals and write your daily action plans, these monthly calendars will help you stay productive and goals-focused monthlong. Keep scrolling down for your free copy! 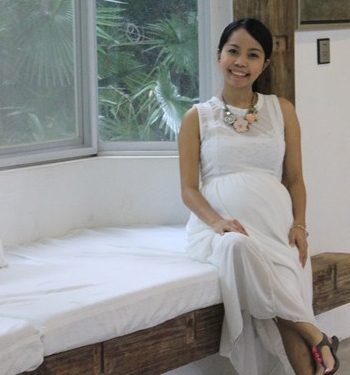 Friends, it’s another great day here at Shining Mom blog today. 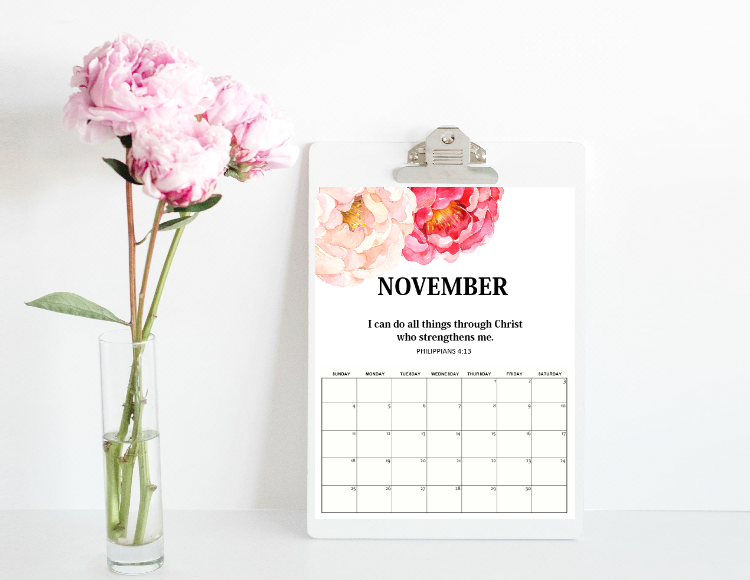 I know you’ve reached this post looking for a free printable November 2018 calendar and I am happy to share a dozen of freshly designed calendars for you. I know you’ll be extra busy in November because it’s barely a month away from the most-awaited season of the year– Christmas– hence your calendar planners are arriving early! I hope these calendars will help you make your hectic schedule a little bit blissful. The calendar designs for November are handpicked from my favorite designs from the past releases and also came up with a few new designs. As always, I used graphic elements from the amazing artists from Design Cuts and Creative Market in creating your calendars. Ready to snag your free calendars? 12 Free Printable September 2018 Calendar Planners for You! 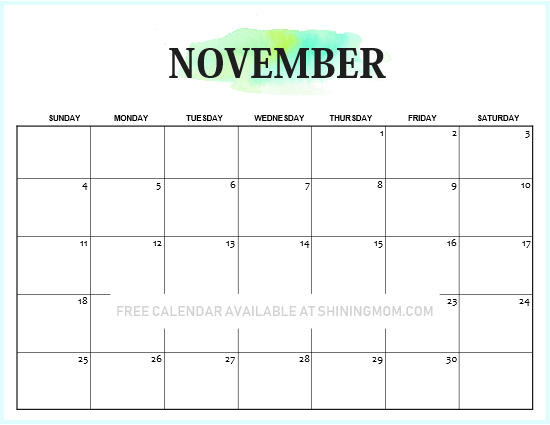 Yup, you are about to enjoy 12 beautiful calendars from the Shining Mom blog today. 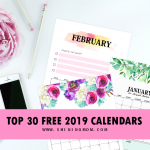 If you’re new here, please know that I do share free printable calendars on the blog every month. Do sign up for my mailing list to receive my freebie updates! Keep scrolling to view the November designs! Let me start this quick ‘calendar tour’ with this pretty floral calendar with a sweet verse from the Bible. I picked this verse because it is a beautiful reminder that everything can be done with the Lord. Yes, we can do all things through Christ, our source of strength! 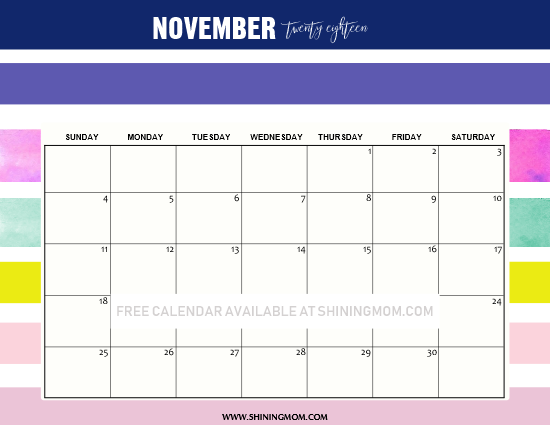 In need of a free printable November 2018 calendar that comes in minimalist style? This next one that I have here is probably the right one for you. It comes really dainty and clean! What’s extra nice about this calendar is that it also has a room for your personal notes and reminders. And yes, you can also use those lines for your monthly goal-setting. Next up is another minimalist November calendar but this time in horizontal orientation. 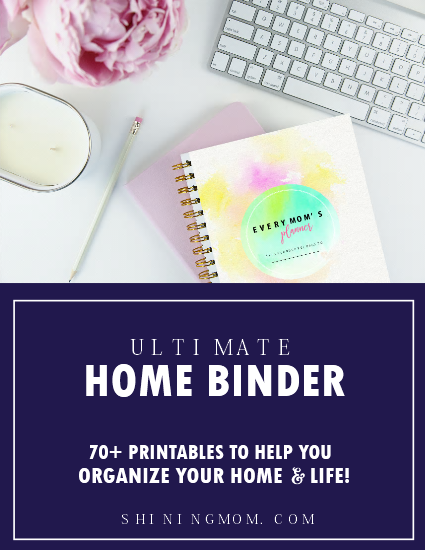 This is a great calendar to use for your daily planning because the spaces are huge! I have maximized the entire US Standard Letter paper so you have bigger spaces for your daily to-do’s. Ahhh, how I love this next calendar! 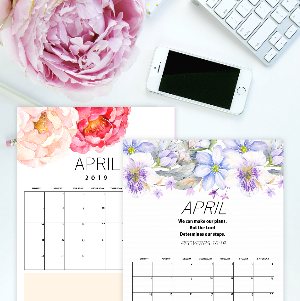 If you’re just like me who’s in the mood to use a bold calendar for this month, print off this beautiful floral calendar! This is going to be my blog editorial calendar for this month. How about you? Where do you intend to use this one? Bring in the refreshing vibe of spring in your November planning! Snag a copy of this floral calendar that’s sure to brighten up your mood monthlong! One of my favorites from this set, this vertical calendar is perfect to print for your kitchen or even work stations. For sure, this calendar will sit prettily on your desks. Print one for yourself and your friend! 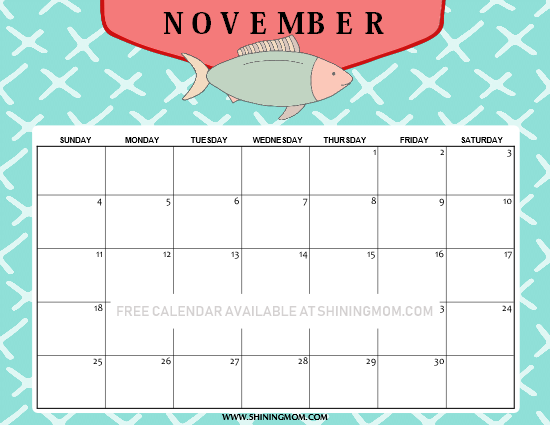 Super Cute Free Printable November 2018 Calendars for the Students! The next batch of calendars that I am sharing with you are created for the students in your life (but you can also use them, of course)! These calendars come in fun prints and happy colors that will surely inspire the younger ones to get organized. Check them out, keep scrolling! Looking for a calendar for kids? Here’s a super fun one in nautical print! Teach your kid to organize her/her schedule using this cute planner. You can add this page in his/her school binder. (And should you be looking for a free school planner, I an amazing one over here that’s also for free printing)! Moving on, here’s another cute calendar for you! I just love the happy printed background that contrasted with the bright yellow header. I think kids will again love to use this (and perhaps you, too?). Snag your free copy towards the end of the post. This last calendar that I am sharing with you comes in happy colors! 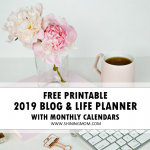 It’s actually the perfect match to the brilliant free printable 2019 planner, the Design a Life You Love Planner, that I have already released! 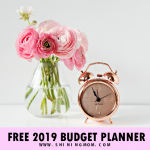 DO NOT MISS this free planner, it has 50 excellent planning pages to help you get organized in 2019! That’s it for today! 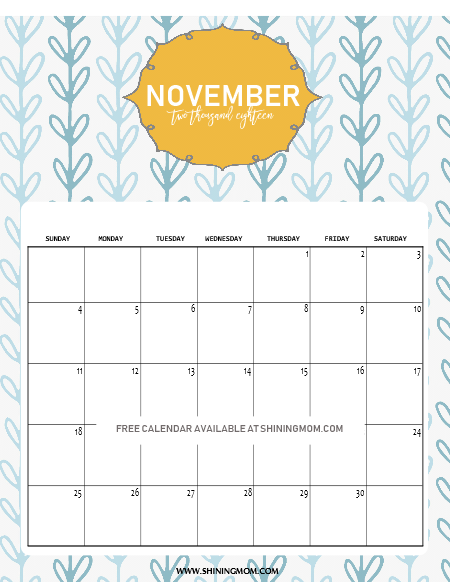 A dozen beautiful free calendars for November! 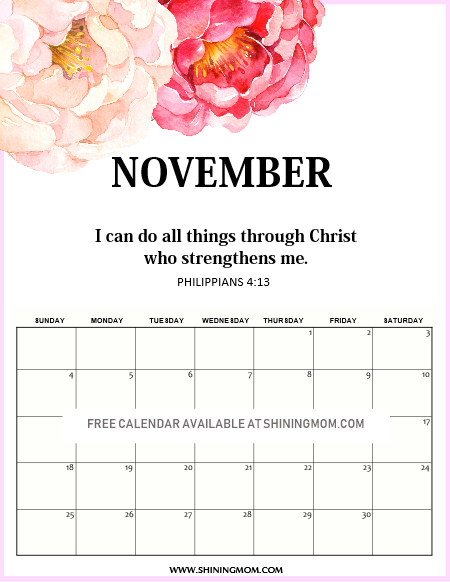 As I have mentioned earlier, I have 12 free printable November 2018 calendars for you. View the complete designs in your download. Excited to get your free copy? Please go HERE for the vertical calendars and to join the mailing list and HERE for the horizontal calendars. 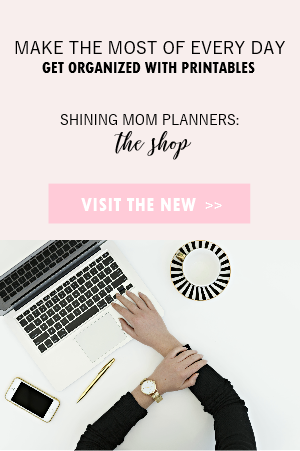 If you haven’t signed up for the mailing list yet, I highly suggest that you join now so you’ll never miss a Shining Mom freebie again! 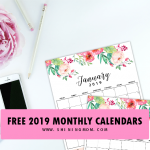 And oh, if you’re already scouting for 2019 monthly calendars, you might want to snag these amazing printables available at the Shining Mom Store. 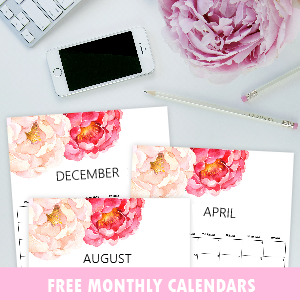 Printable 2019 Monthly Calendars in Beautiful Florals (with bonus weekly planners)! No time to print the calendars today? That’s Okay. You can always get back to this post soon. Pin this post now at Pinterest to save it for later! You’ll also help others find this blog that way. Thank you! 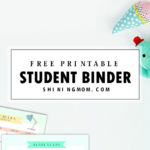 Pin this Freebie at Pinterest! These calendars are updated yearly. Pin this post for future use! 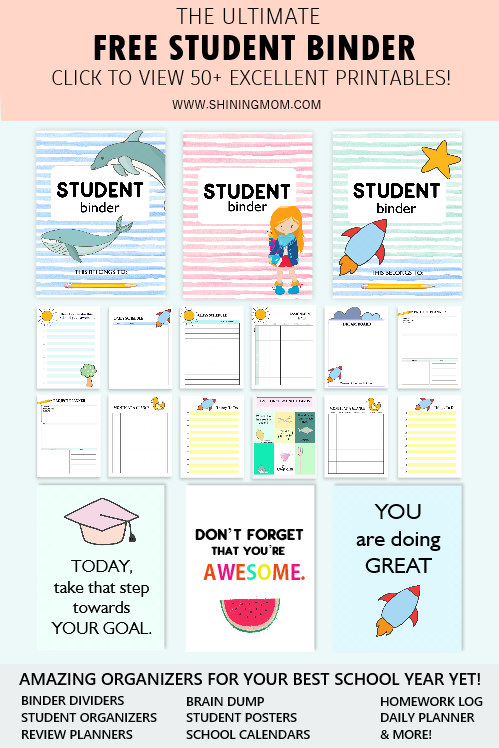 LOOKING FOR MORE ORGANIZING PRINTABLES? 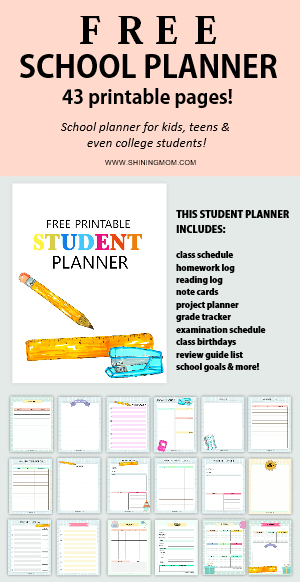 Free Teacher Planner: 50 Excellent Organizing Pages! Free Happy Life Planner: Truly Amazing! Have an amazing November! Thank you for visiting me here! See you again soon? « Beautiful September Calendars for FREE Download! I’m a school counselor, am I able to use this with my students? Thank you. It will be my pleasure. Go ahead and use them please.